A new app is available through Google Play for all of you fantastic reddit residents out there, the official Ask Me Anything app. During an AMA, celebrities, politicians, business folk, or anyone of importance offers you a chance to ask them anything you would like, as they respond to comments made through the site. 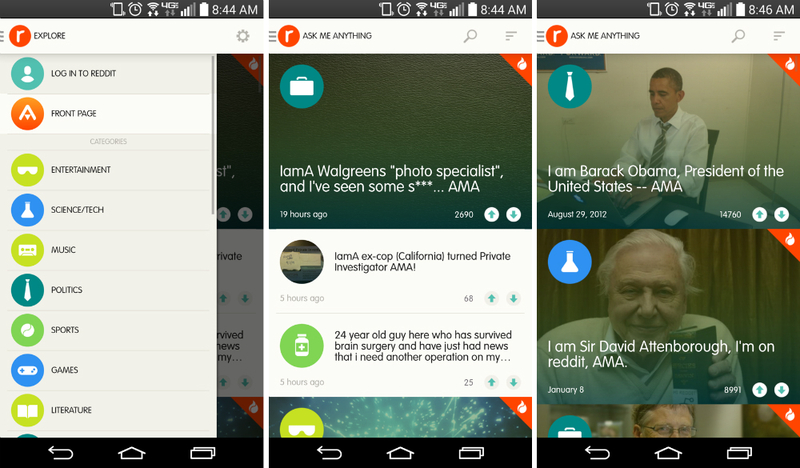 AMA is one of reddit’s most popular features, and now, you can download an official app for it. The app appears to be quite well developed. On the home page, you can scroll through the newest AMAs, while also going back in time, browsing through reddit’s most popular AMAs, such as Barack Obama and Bill Gates. Once you log in to reddit through the application, you can post questions on any AMA, as well as receive notifications when a particular AMA is trending on the site. If you can’t get enough AMA, you need this app.